Romans 5:12 "Therefore, just as sin entered the world through one man, and death through sin, and in this way death came to all men, because all sinned." John 3:16 "For God so loved the world that he gave his one and only Son, that whoever believes in him shall not perish but have eternal life"
Romans 10:9-10 "That if you confess with your mouth, "Jesus is Lord," and believe in your heart that God raised him from the dead, you will be saved. For it is with your heart that you believe and are justified, and it is with your mouth that you confess and are saved." Matthew 8:17 "This was to fulfill what was spoken through the prophet Isaiah: "He took up our infirmities and carried our diseases." Ephesians 2:8-9 "For it is by grace you have been saved, through faith-and this not from yourselves, it is the gift of God not by works, so that no one can boast." John 1:12 "Yet to all who received him, to those who believed in his name, he gave the right to become children of God"
Word that whosoever shall call upon the name of the Lord shall be saved. I am asking You now, come into my heart. Live Your life in me and through me. by faith I now confess Jesus Christ as my new Lord and from this day forward, I dedicate my life to serving Him. The First is to be water baptized. Water baptism does not save you; it is simply an outward show to the world, of the commitment you've made in your heart to receive Jesus, much like a wedding ring, represents to others, that you have made a commitment to a spouse. 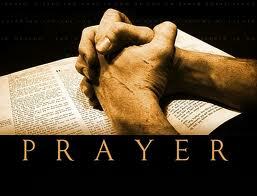 Secondly, to pray everyday, Prayer is you talking to and listening to God. Thirdly, read your bible everyday, starting with the book of JOHN, we suggest the book of John because it explains who Jesus is. Fourthly, join a bible believing church and if you don't have a church home, we want you to know that we would love to have you here, because, we know here, you will be taught the word of God, and your life will never be the same. Fifthly, listen to the Word daily (television programs, ministry tapes, or ministries that bless you) because faith comes by hearing the Word of God.